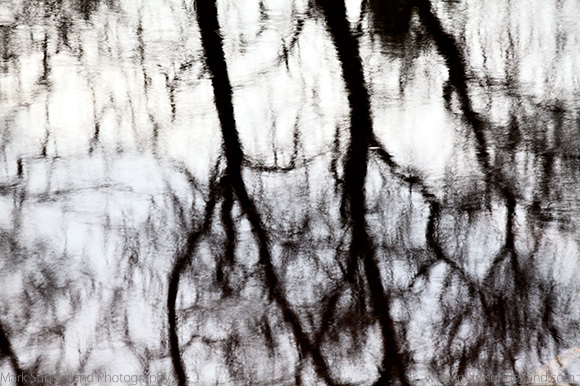 On overcast days it’s often best to head for woods and water, so on such a day last week I set myself the project of photographing reflections of winter trees in the river. 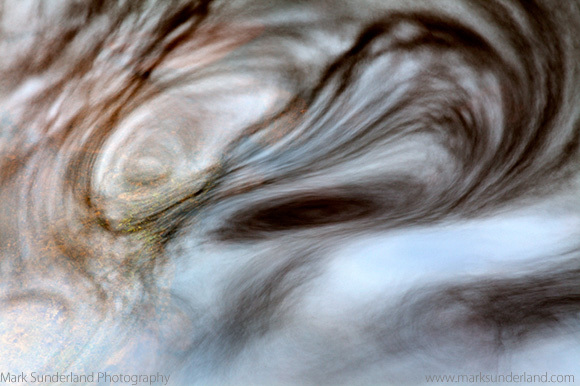 There was a light breeze which kept ruffling the surface of the water so rather than a glass-like reflection the resulting images had a rather more abstract look to them. Although it was generally overcast, there were breaks in the cloud and the odd patch of blue sky, so this added a touch of colour to the water. Having said that, most of the images were near-monochrome, which was fine as far as I was concerned as I wanted to convey the sense of a bleak winter day with muted tones. 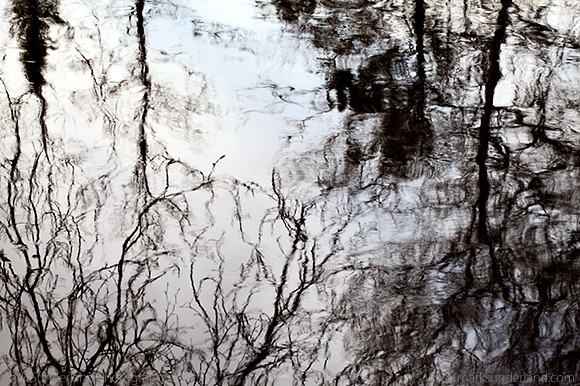 Inevitably the tree reflections are upside-down and I don’t like inverting images like this to make them appear the right way up, but I thought this image with reflections of trees on both banks of the river was quite interesting, if somewhat more confusing than the others! 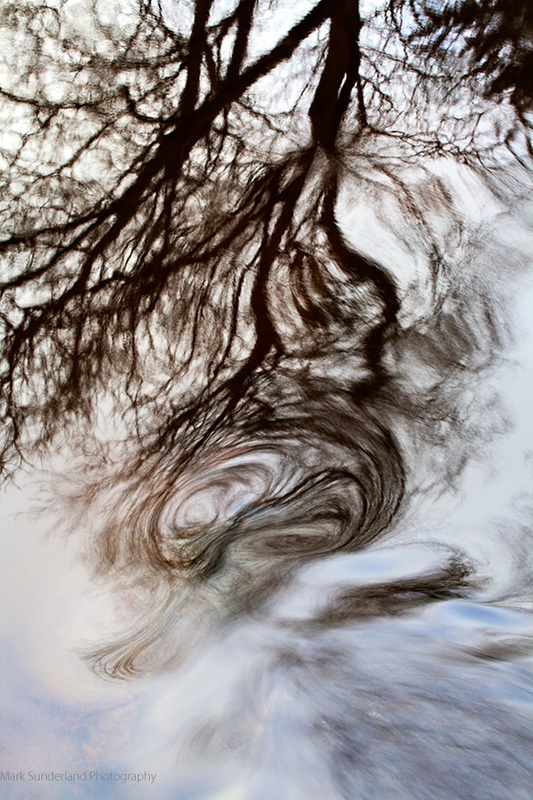 Just above a weir an eddy in the water caught my eye and getting in close on it made a completely abstract image where the reflections are barely recognisable. 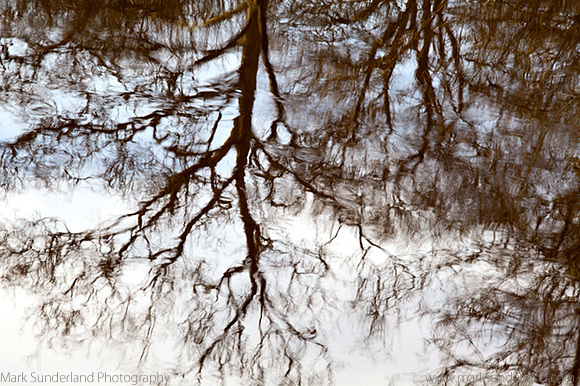 My favourite image from the shoot, however, combined a tree reflection and the eddy together (below). ← Last Week’s Shoot – Food!